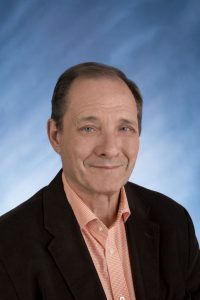 Dr. Adams is Professor and Chief, Developmental Nutrition Section in the Department of Pediatrics at UAMS, and directs the Molecular Physiology Lab at ACNC. 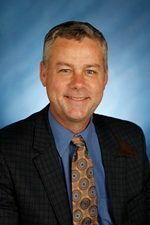 He received his Bachelor’s in Biology from California State University, Fresno, followed by a Master’s in Marine Sciences from UC Santa Cruz, and a Ph.D. in Nutritional Sciences from the University of Illinois at Urbana-Champaign. After his postdoctoral training at the University of Barcelona and UT Southwestern Medical School, Dr. Adams was a research scientist in biotech and pharmaceutical R&D for over 7 years. Before coming to Little Rock in 2014, he was an Associate Adjunct Professor in Nutrition at UC Davis and led the Obesity and Metabolism Research Unit of the USDA-ARS Western Human Nutrition Center in Davis, CA. His research aims to determine—at a molecular level—how specific foods and physical activity modify disease risk, and to identify new biomarkers reflective of a healthy or disordered metabolism. Dr. Andres is an Associate Professor in the Department of Pediatrics at UAMS, leads the Clinical Research Core and directs the Clinical Nutrition Lab at ACNC. She has a Bachelor’s degree in Agriculture, a Master’s in Nutrition, and a Ph.D. in Nutritional Sciences from the University of Illinois at Urbana-Champaign. She joined the ACNC in 2007 as a Postdoctoral Fellow before being appointed as to the faculty in 2008. Her research interests are focused on optimizing pediatric nutrition to prevent childhood and adult diseases, and on understanding the effects of the pregnancy environment on the future health and development of children. When not working, she enjoys time outside with her family and friends, yoga, meditation, travelling, cooking and eating! 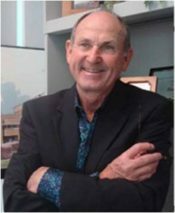 Dr. Badger is a Professor Emeritus in the Department of Pediatrics at UAMS, was the Founding Director of ACNC where he served for 20 years, and helped establish the Arkansas Children’s Hospital Research Institute (ACHRI). He holds a Bachelor’s degree in Biology/Chemistry from California State University, Fresno, a Master’s in Audiology and a Ph.D. in Nutritional Biochemistry from the University of Missouri, Columbia. Before coming to Little Rock, he was a Postdoctoral Fellow in endocrinology at Washington University and Associate Professor at Harvard Medical School. His research expertise includes developmental neurobiology, maternal programming of offspring health and function, effects of early-life diet type and the roles of phytonutrients in health and disease. He remains an active member of the ACNC team, contributing toward clinical and basic research efforts in developmental programming and neurodevelopment. Dr. Børsheim is an Associate Professor in both the Department of Pediatrics and Department of Geriatrics at UAMS, serves as the Director of the ACNC Physical Activity Core Laboratory and leads the Physical Activity, Energetics and Metabolism Research Lab. She has a B.Sc. in Sport Sciences and a Ph.D. in Exercise Physiology from the Norwegian School of Sport Sciences, and also a B.Sc. in Natural Sciences and a M.Sc. in Physiology from the University of Oslo, Norway. 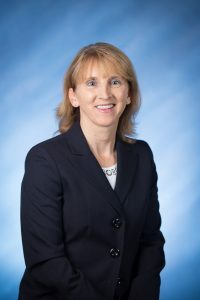 Before coming to Little Rock in 2013, she was the Metabolism Unit Director at Shriners Hospitals for Children – Galveston, and Associate Professor at the University of Texas Medical Branch. Her research interests are in the regulation of metabolic processes, specifically related to muscle protein, regional fat, and energy metabolism, and how physical activity affects health and development throughout the lifespan. 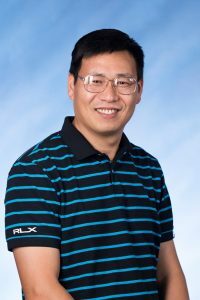 Dr. Chen is an Associate Professor in the Department of Pediatrics at UAMS, and directs the Bone Development Lab at ACNC. He received his M.S. and Ph.D., both in Bone Biochemistry, from Hamamatsu University in Japan, and an M.D. from China Medical University. He has been a researcher at ACNC since 2005, where his interests revolve around bone health and skeletal development in early life. He is currently studying how dietary phytochemicals from blueberries and soy affect skeletal development and bone growth. Other studies are exploring how maternal obesity impacts bone health in offspring, and the influence of diet and obesity on bone cell metabolism. When Dr. Chen is not at work, he enjoys running and fishing. Dr. Chintapalli is an Instructor for the Developmental Nutrition Section in the Department of Pediatrics at UAMS, and serves as a Bioinformatician at ACNC. 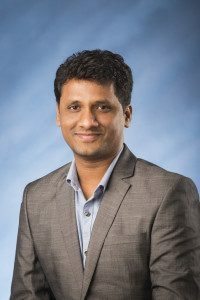 He received both his Bachelor’s and Master’s degrees in Biochemistry from Andhra University, India, and a Ph.D. degree in Bioinformatics from The University of Essex, U.K. Before joining ACNC as a visiting scientist in May 2015, he worked as a postdoctoral computational biologist in both Pennsylvania State University (PSU) and University of California, Davis (UCD). His main research interest involves elucidation of protein molecular structures and their interactions with ligands (such as metabolites) using computational and biochemical tools. His current studies focus on understanding the role of myoglobin interaction with fatty acids and their derivatives in skeletal muscle. As a part of the ACNC Informatics Team, he collaborates on experiments that involve RNA-Seq, transcriptomics, microbiome and metagenomics analyses. 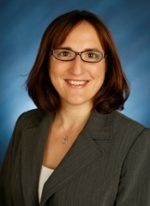 Dr. Eva Diaz, M.D., MMSc. 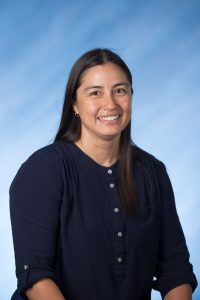 Dr. Diaz is an Instructor in the Department of Pediatrics at UAMS, and a member of the Physical Activity, Energetics and Metabolism Research Lab. She obtained her M.D. degree from Universidad Evangelica de El Salvador, completed a residency in Pediatrics from Universidad de El Salvador, and attained a Master’s degree in Medical Sciences with a focus in metabolism at the Unviersity of Texas Medical Branch, Galveston. She joined the ACNC in 2013, initially as a Postdoctoral Fellow. Her main research interests are related to the roles of physical activity and diet during gestation on maternal-offspring health and childhood development. Outside of research, Dr. Diaz likes to swim, cook, read and spend time with her daughter. Dr. Mercer is an Assistant Professor in the Department of Pediatrics at UAMS, is Director of the ACNC Metabolomics Core, and heads up the ACNC Hepatic Physiology Lab. She received her Bachelors in Science from the University of Dallas in 1997, and she received her Ph.D. in 2001 from the Department of Biochemistry and Molecular Biology at UAMS. She did postdoctoral fellowships at both St. Jude’s and UAMS before coming to ACNC in 2010. 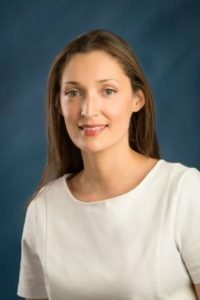 Dr. Mercer’s research interests are to understand the influence of diet and developmental programming on liver function during childhood, ultimately to determine how diet modification can prevent adverse clinical outcomes in overweight children and adolescents. Away from work she likes to spend her weekends boating, swimming, water skiing, running and coaching her son’s basketball team. Dr. Piccolo is an Assistant Professor in the Department of Pediatrics at UAMS. He received his B.S. in Nutritional Sciences at Bastyr University in 2006 and a Ph.D. in Nutritional Biology at the University of California, Davis in 2012. He did postdoctoral fellowships in Bioinformatics at the West Coast Metabolomics Center and the USDA-ARS Western Human Nutrition Research Center at the University of California, Davis. He joined ACNC in 2015 and is now leading the ACNC Informatics Team. His holistic approach to research utilizes “Big Data” (i.e., coupling “omics” platforms, clinical parameters, physical activity measurements, nutrition and lifestyle variables) in order to identify individual phenotypes reflective of health status. Outside of his work, Dr. Piccolo likes to cook and travel with his wife, and enjoys racquetball and biking. Dr. Pivik is a Research Professor in the Department of Pediatrics at UAMS and directs the ACNC Brain Function Laboratory. He obtained his Bachelor’s and Master’s Degrees in Psychology from the University of Wyoming, and a Ph.D. in Physiological Psychology from Stanford University. He was a Postdoctoral Fellow in Psychiatry at Harvard University Medical School. He has been at ACNC since 2000. His research interests are in nutrition, developmental neurophysiology, psychophysiology, developmental cognitive neuroscience, and the physiology and psychology of sleep. He is currently studying the effects of early infant diet on brain development and function from infancy to preadolescence. Outside of the lab, Dr. Pivik likes hiking and camping, travel, music, and landscaping. Dr. Shankar is an Associate Professor in the Department of Pediatrics at UAMS and directs the Metabolic Programming Lab at ACNC. 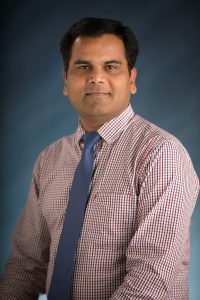 He graduated with a Bachelor’s degree in Pharmacy from Mumbai, India in 1998, and a Ph.D. in Toxicology from the University of Louisiana at Monroe in 2003. 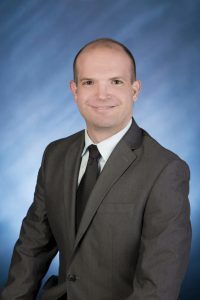 Prior to his faculty appointment, he joined ACNC in 2003 as a Postdoctoral Fellow studying nutrition, reproductive and developmental toxicology, pregnancy and metabolism. His research interests are the developmental origins and consequences of obesity and metabolic disease, and characterizing placental biology and the impact of maternal obesity. Outside of research, Dr. Shankar enjoys photography, reading and quiet days at home with his family. Dr. Thakali is an Assistant Professor in the Department of Pediatrics at UAMS, and directs the ACNC Vascular Programming Lab. She received her Bachelor’s in Environmental Science at the University of Arizona and received her Ph.D. in Cardiovascular Pharmacology at Michigan State University. She has been working at the ACNC since September 2011, initially as a Postdoctoral Fellow. Her research interests are maternal programming and development of the cardiovascular system in health and disease. Current research projects in her lab include a project studying how maternal diet affects the offspring’s cardiovascular system and a project to study how exercise modifies the function of perivascular adipose and underlying blood vessels. When she is not in the lab, she is an avid mountain biker and rock climber. Dr. Wankhade is an Instructor in the Department of Pediatrics at UAMS and member of the Metabolic Programming Lab at the ACNC. 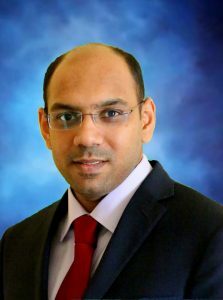 He graduated with a Doctorate of Veterinary Medicine from Nagpur, India in 2003, and a Ph.D. in Human Nutrition from Virginia Tech University in 2010. Before joining ACNC in 2015, Dr. Wankhade was at the National Institutes for Health (NIDDK) as a postdoctoral fellow studying the role of TGF b signaling in adipose tissue development. His research interests are the developmental origins of adipose tissue and its impact on offspring health. Outside of research, Dr. Wankhade enjoys reading, watching football and tennis, and listening to podcasts. Dr. Yeruva is an Assistant Professor in the Department of Pediatrics at UAMS. 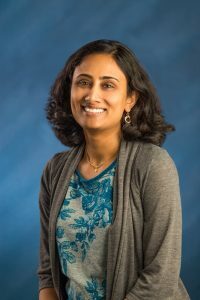 She holds Bachelor’s and Master’s degrees in Microbiology and Immunology from Osmania University in Hyderabad, India, and a Ph.D. in Biochemistry from the University of Nevada. 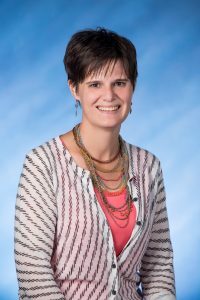 She has been working at UAMS since 2007 and joined the ACNC team in 2013 to lead the Nutritional Immunology Laboratory. Her research focuses on health-oriented basic and translational studies of immunity. The main goal of her studies is to understand the factors that differentiate breast-feeding and formula-feeding, in terms of immune system and gut functions later in life. Outside of work, Dr. Yeruva likes cooking, reading fiction novels and travelling the world.